Do you get excited when you find SEA GLASS? Me too! It’s another beautiful gem most beachcombers love to collect while looking for shells and other BEACH BLING on any walk on any beach. Oddly enough, lots of our friends don’t really get why we travel the world in search of beach treasure… until I tell them we found a honey hole for SEA GLASS. Then their ears perk up! LOL Well, since it’s impossible to bring back enough SEAGLASS in our suitcase for everybody who wants some from Guantanamo Bay, Cuba… here is a CYBERSHELLING (CYBER-SEAGLASSING) photo from last week’s adventure on Glass Beach in Gtmo (CLICK HERE for the history of this SEAGLASS). Just click on the next photo to enlarge it so you can find your own SEA GLASS. Fun! Then I’ll show you some of the other cool BLING we found. In my last post (CLICK HERE), I showed you some of the beautiful shells and areas we combed but couldn’t really explain how much fun Clark, me, Lee and Susan had picking through the high tide dry wrack lines in search of Bling. See that incredible SEA FAN Susan found? Un-beee-liev-able! I just loooove me some Bling! I’m trying to identify all of the different SEA URCHINS we found but it is not so easy. I’ll try to get close up photos of each one but oh lawd, I need more time. So … I’m almost positive we have…. WEST INDIAN SEA EGGS, VARIEGATED URCHINS, LONG-SPINED URCHINS, CLUB-SPINED URCHINS, ROCK-BORING URCHINS and SEA BISCUITS. We could have picked up hundreds of the CLUB-SPINED SEA URCHINS that had probably gotten tossed up by a storm weeks before. They were in the highest wrack line and completely dried and preserved. Cool! We also brought home SEA HEARTS, HAMBURGER BEANS (SEA BEANS), a few pieces of CORAL, 2 small SEA FANS, a few VERTEBRAE, PURPLE CRAB shells (haven’t looked them up yet), OPERCULUMS, old turquoise CUBAN TILES and… you see that piece of striped POTTERY on the bottom right? Lee told me that piece probably dates back to the Spanish- American war era circa 1898. Amazing, right? Talk about cool… I found two complete old Cuban Hatuey beer GLASS BOTTLES made in the 1950s. These were so popular, Bacardi is now making this beer again. More awesome BLING on the beach! Lee found this WWII US Navy uniform button while he was picking through the rock and pebbles looking for SEAGLASS like in the CYBERSHELLING pic. Whoot Whoot! Let me show you just a few more shell photos before I sign out for the day…. Clark found these spectasheller THORNY OYSTERS that haven’t even been really cleaned up yet. They are gorgeous. We find these in SW Florida but most times they are only fragments. Lee found the mac daddy of the THORNY OYSTERS- it’s huge and with some good spines…. Both sides! It was completely packed with hard mud and limestone so it will take a little work to get this baby cleaned up but it will be well worth it. It’s a beauty! I always think these are so funny…. the BLEEDING TOOTH. Shall I say more? These are some of my favorite minis we found this trip… BEADED MITERS. Clark was excited (and me too) to find this HEXAGONAL MUREX since we’ve never found one before. It’s always a thrill to find a new shell! 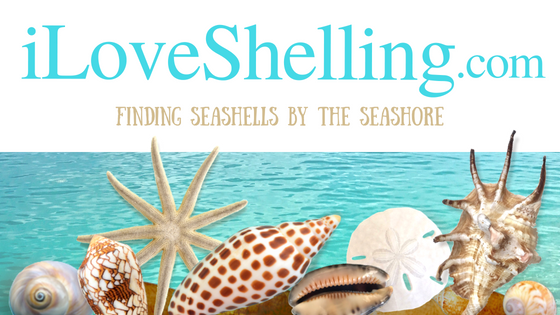 Again, we have to thank Lee and Susan for sponsoring us, being our shelling guides and letting us share this extraordinary place with everybody to learn what types of shells we can all find in the other Caribbean Islands. We are forever grateful. I will get more shells cleaned up and photographed soon but the FLAME HELMETS are so shellsational, I had to add show you these before I go out and hit my home beach. It was fabulous finding shells in Guantanamo Bay, Cuba but it’s always so wonderful to be back home on Sanibel Island… especially with a cool evening low tide. Have a nice weekend! Wow, amazing is an understatement!! You found some rare colors of sea glass too :) That sea fan is gorgeous, and the Bleeding Tooth – that is one peculiar shell.. LOL. Just got back from Havana and the local beaches also have sea glass everywhere. It is an amazing country and you are very lucky to be seeing beach areas that are so protected. ENJOY for the rest of us! Great finds this trip. What fun. Would love to go one day…. All kinds of great stuff! The Thorny Oyster looks like he is sticking his tongue out at Lee. The purple crab shells are really pretty — they don’t have that species on Nevis. Please tell me you managed to grab that big piece of coral in your cyber glass shelling pic? it looks gorgeous!!!!! :) Of Course, I love everything else too!!!!! p.s. – “Exshellent” photos, by the way! Love that sunset behind your pals! We are from Nebraska, and just LOVE to cyber-shell on your site. These Cuban treasures have been so fun to look at. Visiting Sanibel again in early August and can’t wait. But until then, Please keep blogging. Love, Love, Love the Sea Glass. I posted recently my experience of finding hundreds of blue and aqua sea glass at Long Branch NJ on a retreat. So I know how amazing it is to find these little treasures. Every beach walk is a gift. Even if you do not find a treasure, the search itself it a gift from God! I so look forward to your posts. Keeps me connected to my passion! Thank you and God Bless you and Clark. You found some fabulous stuff! Loved that sea fan, all the sea glass, the bottles and that button the most. Wow!! Some of your best finds ever! Great treasures, I’d love to see a post on how to pack them safely for travel back home. How do you keep the urchins from crushing? !